Using the unique know-how within the Shanggong Group and an extremely strong sales organisation with partners in virtually all countries, the group wants to sustainably grow in the jeans segment under the auspices of PFAFF Industrial. “In the mid-term, we want to become the leaders both in terms of technology and market share with new and capable products,” said Karin Kilian, Segment Management, Garment. The company offers Semi-automatic sewing of jeans side seams and inseams; Single head overlock units for serging of jeans; Pocket creaser for pre-folding of pockets prior to further processing on the pocket setter; Pocket creaser for pre-folding of pockets prior to further processing on the pocket setter; Sewing unit for attaching of pre-creased jeans pockets; Sewing unit for automatic creasing and attaching of pockets in jeans and workwear; Programmable automatic pocket setters with two machine heads; Integrated workstation to attach belt loops; Pocket hemmer; Integrated work station to attach automatically the waistbands; Engineered workplace to attach waistbands; Automatic sewing unit for run-stitching and cutting small parts in one step; Eyelet buttonhole indexer for small parts, e.g., jeans fly pieces; automatic double-chainstitch eyelet buttonholer with innovative Multiflex cutting system specialised for maximum output and Unison feed chainstitch special sewing machine for high-quality top-stitching operations on heavy fabrics. The latest machine is an Engineered workplace to attach waistbands which is a basic machine to process waistbands for jeans and work clothes using the “cut-to-size”-method. 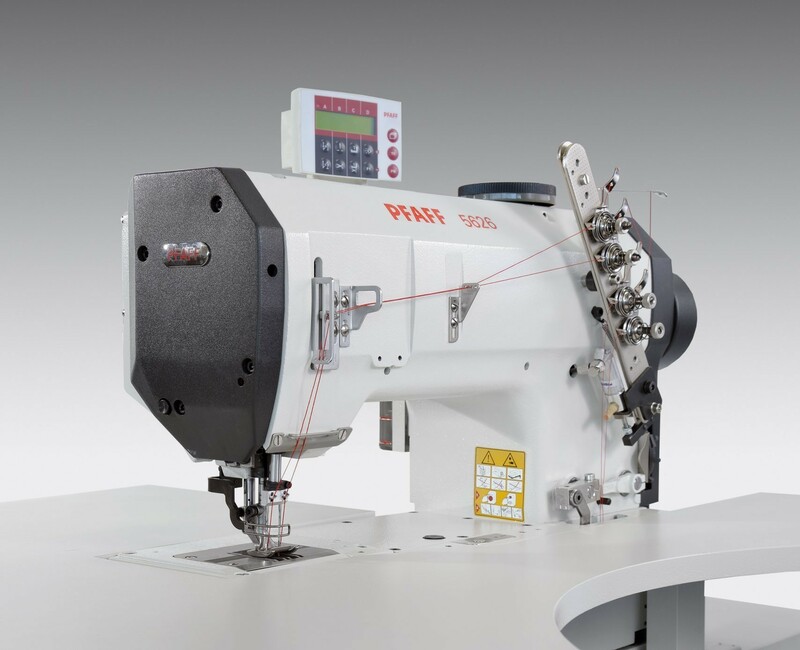 The PFAFF 5626 chainstitch inline forms the core of this workstation and the customised sewing kits in combination with the alternating top feed ensure the reliable feed of the waistband and trousers. Due to the compensating presser foot, the variable number of cloth layers ranging from 2 to 5 or more are reliably transported and sewn even without a puller. The threads are cut by a separate hook knife behind the arm. 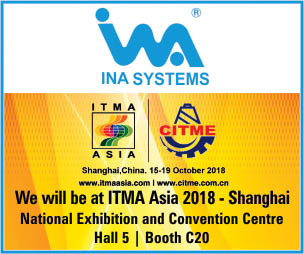 “Throughout the entire textile industry, the demand is increasing for automated solutions which ensure good and consistent quality with high-performance (output). This requirement for automated production will further intensify due to limited resources and rising wages in the current production countries. The jeans industry offers a huge potential for investment,” added Karin.